The Dovecote - www.dovecotenarborough.co.uk Review | No Wonder I’ve Put in Weight! No Wonder I’ve Put in Weight! 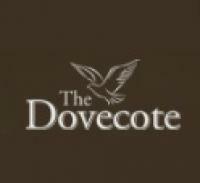 The Dovecote is a welcoming pub/restaurant - extremely family oriented. You can either turn up on the day, however booking is advised. The menu is varied however not pricey. The food from a Sunday Roast to a pudding with custard is tasty. Trouble is the place is so welcoming, staff are lovely, that you keep going back and back which is an amazing testimony to them but not as good for my waist line!! This lovely pub/restaurant is well worth the visit - we live 110 miles away and meet family and friends there for lunch or dinner (I come from the area) so it’s great as a meeting place also. The Staff of Life Inn, Mowsley 2.